GOING THE DISTANCE Painted ladies travel 12,000 km each year, farther than any known butterfly migration. Move over, monarchs. 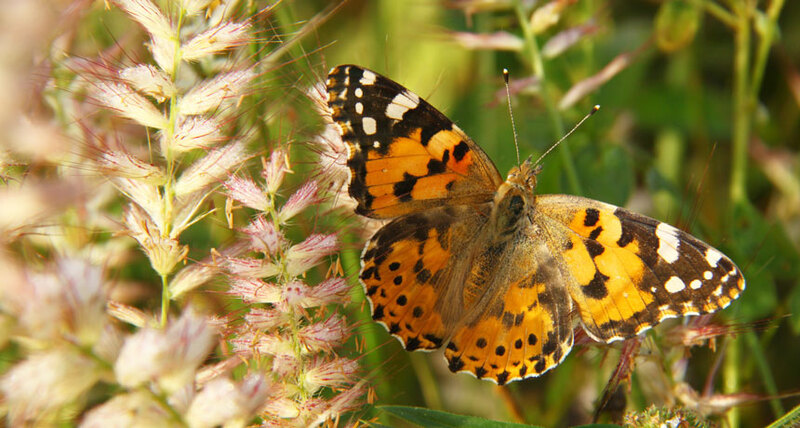 The painted lady butterfly (Vanessa cardui) now boasts the farthest known butterfly migration. Though found across the world, the orange-and-brown beauties that live in Southern Europe migrate into Africa each fall, crossing the Sahara on their journey (SN Online: 10/12/16). But what happened after was a mystery because the butterflies disappeared. Researchers hypothesized that the insects either remained in Africa or made a round-trip, but there was no evidence either way. A new chemical analysis of butterfly wings suggests that the butterflies head back to Europe in the spring. The round-trip, which usually plays out over several generations, is an annual journey of 12,000 kilometers, about 2,000 more than successive generations of monarchs are known to travel in a year (SN: 4/14/18, p. 22). Researchers were surprised when they detected chemical markers from Africa on some European butterflies’ wings. Those markers told where an individual had eaten when it was still a caterpillar. The study, reported in the June 13 Biology Letters, provides evidence that the creatures return from Africa each year. Some tenacious individuals even make the return trip in a single lifetime.